And let's say that you are employed - and let's add to that supposition and say that you don't have a history of unemployment - you still may not be able to secure loans. Securing a loan will depend on your ability to pay it back. The fact that you are employed doesn't grant the loan by itself. . .the salary you earn will also have an effect. Credit history is being used for a variety of things today. When you want to rent an apartment, it is likely that the landlord will run your credit history to determine if you will pay rent each month or be a deadbeat tenant that will end up being evicted. The landlord is justified in wanting to know this information it costs money to have someone evicted because of legal fees. That expense plus the loss on rent could be more than the landlord can afford so he will look at credit histories to get a tenant that poses less of a risk. Insurance agencies take the same approach - with a twist. They too don't want to have a customer that poses a risk of not making the monthly payments. But here's the twist: insurance companies can charge you a different rate than somebody else just because you have a credit history and score that is not as good. They will tell you that as your credit history and score get better (you know, just make consistent on-time payments for two years. . .or something like that) the insurance rate will go down. They are justified in their own way, whether it is right or wrong to do. Their justification? If you can show that you are responsible and trustworthy with your credit, they will assume that you are that way in all walks of life. That translates in their minds as someone who is not reckless in making decisions, someone who will be a better driver, someone who will take care of their car, etc. If that is what they see in you, they will be happy to have you as a customer for auto insurance and you will get one of their lower rates. Smart decisions shouldn't be saved just for the spending and payoff side of the responsibility. As you look for loans or credit cards, make sure that you are making smart decisions throughout the process. You need to remember that as much as you want the loan, the bank wants your money. They should be willing to work with your needs and abilities to pay back the loan. At the same time, you shouldn't be so stubborn to think that they have to cater to your most ridiculous requests. Those companies sending credit card applications in the mail still need to make money and will send you on your way without a dime if you don't act wisely. More often than not, the asterisk means that the interest rate they are advertising is just an introductory rate. Usually after somewhere between six and twelve months that introductory rate will end and another rate will kick in. The new rate could be a fixed number, such as a common 18.9%. It could also be documented as "prime plus 8%". Prime is not a fixed number. It varies based on the economy and what is happening on Wall Street. It could be as low as 6% (maybe even lower), which means your new interest rate in this scenario would be 14%. Prime could also be as high as 12% (or higher) which means your new interest rate would be 20%. Is this confusing? Don't let it be, otherwise you will be sucked into the pitfall of naivete regarding credit cards. What is your credit score? Don't know? You should. If you aren't aware of what your credit score is, how do you know how creditworthy you are? You may think you have an idea, but you really don't unless you understand what a credit score is and how it is calculated. This article will explain what a credit score is, what it does for you, and how you can find out what it is. A credit score is a three digit number that implies how creditworthy you are and how likely it is that you will repay any loan that you receive. The number is based on a statistical analysis of a person's credit files. 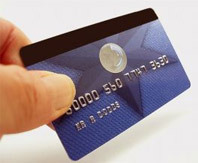 If you have read the articles "Obtaining Credit" and "Using Credit Wisely", you will have already learned a lot about credit and how your credit standing is effected by how well you manage your finances, specifically the use and repayment of credit cards, the acquiring and repayment of loans, and the wise (or unwise) decisions you make in handling the responsibility of loans and credit cards. In most cases, when people talk about credit scores, they are referring to FICO credit scores. What is FICO? It is actually an acronym for Fair Isaac Corporation, the company that developed the system to calculate credit scores. Unfortunately, when you reference a FICO score, you could actually be referencing three different scores. That is because the three credit bureaus (Experian, Equifax, and TransUnion) that lenders use to get your credit score and credit report use the FICO calculation a little differently. Why would the credit bureaus use the calculation differently? Well, to keep the answer to that question simple, it is because each bureau values certain information differently. For example, there may be a bit of information that Equifax and Experian use to calculate your score that TransUnion doesn't use. If everything else in the calculation except that one piece of information was the same, your TransUnion score could (or could not) be higher than the other two. It is also important to know that each credit bureau refers to the score by a different name. It is good to know what those scores are so that you can identify which credit bureau score you are looking at. Experian calls theirs the Experian/Fair Isaac Score. Equifax calls theirs the Beacon Score. TransUnion calls theirs the Empirica Score. One thing that remains constant between all three bureaus is the scoring range. FICO credit scores range from a low of 300 to a high or 850. 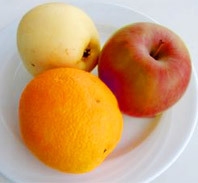 Because they rate credit information differently, you will most likely have three different scores within this range. For example, Experian could give you a score of 792, Equifax could give you a score of 796, and TransUnion could give you a score of 827. Like was said before, since each bureau use information differently to calculate the score, this could be a common situation. So when you have three different scores, which one gets used? Well that will depend on the lender. Generally mortgage lenders will use the middle of the three scores. Some financial institutions may decide that they want to use only the TransUnion score. Because of this, you don't want to worry about one particular score. What you do want to do is make sure that your credit is good enough to have all three scores be within the same range on the score chart. The score chart will break down scores into ranges that indicate credit risk. Generally any score above 730 is considered excellent. However, the closer you get to 850, the better your interest rates will be. A score of 700-729 is considered good. Scores of 670-699 need a closer review. Scores of 585-669 are a higher risk. Scores below 585 will cause you to have a limited credit history. If your score is lower than 585, you will have a hard time getting loans, credit cards, or good interest rates when you do get those. For consumers with poor credit that are working to improve it, there are the Alternative scores. The Alternative scores are based on your bill paying history, outstanding loan balance, types of credit accounts, etc. What is a Vantage Credit Score? The Vantage Credit Score is another score that could be used by lenders that are trying to help borrowers qualify for loans. It accomplishes this goal because the score rating scale is higher and the data used to calculate the score is more consistent between the three credit bureaus. Developed in 2006 with the intent of scoring consumers more consistently, it has been advertised by the three credit bureaus as something that will help banks and lenders further drill down into the "subprime" categories. Subprime lenders are those banks and financial institutions dedicated to borrowers with less than perfect credit or harder to substantiate credit. This means that a borrower with a FICO score lower than 585, who probably wouldn't get a mortgage loan, may get one from a subprime lender using the Vantage score of 800. Why is there such a difference in the scores? First of all because the formula used by all three bureaus is the same. This means that the same information used for a FICO score can be used, but because the weighted value of that information is different with the Vantage score, credit history can look more acceptable to a lender. To better explain, if you have bad credit but are working to improve it, a Vantage score will reflect the effort better than a FICO score. That is because the factor that weighs heaviest on the Vantage score is your payment history. Almost 1/3 of the Vantage score is based on this. But FICO looks at this too (35% of the FICO score is based on this), so if you have been diligent on paying off your debts on time, never missing or being late with a payment, your score with Vantage still may not be better than FICO. But, Vantage also looks at your debt to balance ratio, something that FICO doesn't look at. The less you owe of what is available to you, the better the score will be. The other big difference is that FICO weighs heavily (30% of the score) on the amount of debt you owe. Vantage only factors this as 15% of the score which could make a huge difference. The Vantage score range is from 501 to 990. It is broken down at each like grades in school. 900-990 is an A, 800-899 is a B, 700-799 is a C, 600-699 is a D, and 501-599 is an F. But because of the formulas being different, a Vantage score of 900 isn't necessarily better than a FICO score of 700. For this reason, you need to know what all your scores are and which score the lender is using to consider you for a loan. When you walk into a bank and ask for a loan, you may think that putting on the best appearance possible will help. After all, the more professional looking you are, the more you will appear to be a successful, trusting person that manages money well and meets their obligations. Guess what, you could go in cutoff jeans and a tank-top with sandals and bed-messy hair. It doesn't matter. The person in the custom tailored Ralph Lauren suit could have a FICO score of 620 while the person in the cut-offs and tank-top could have a FICO score of 820. Guess who is most likely to get the loan? That is the harsh reality of your credit score. It will govern your ability to get financing when you need it. Even someone in a position of power (possibly the city mayor) or someone who is popular in the public eye (a movie star, for example) can't rely on their social standing to help them. Your credit history speaks volumes about the financial trustworthiness that you hold. If you have been delinquent in the past, you will have a harder time convincing the lender that you will pay them back on time. Another harsh reality is that the effect of a credit score goes beyond the ability to get a loan. Did you know you may not be able to get a job because of a low credit score? Some positions of employment will heavily depend on a person's credit score if there is a level of financial responsibility associated with the job duties. Would you hire someone to be an accountant for your company when they can't properly manage their personal finances? Then there is housing, utilities, and even insurance. Did you know that these can be affected by your credit score? Obviously you won't be able to get a mortgage loan with bad credit, but you may not be able to rent a house or apartment either. More often these days a person's credit is portraying them as a risk when it comes to any financial transaction. Landlords, insurance agencies, and utility companies may not want you as a customer if your credit history shows information that is not desirable such as periods of unemployment or multiple instances of late and/or missed payments. They may require deposits, additional months payments (first and last), or some other amount as a security to draw upon should you become delinquent in your payments or default altogether. Insurance companies may charge you a higher premium for insurance thinking that your life in general is more risky and that your credit score is just one example to show that it is. So now you know what a credit score does for you, right? Actually, it does a lot more than what has been mentioned. Think of it. All of these things are negative results from having poor credit scores and negative credit history. For all of these negative results, there are positive ones as well. To get those positive results you just have to improve your credit history and score. The better the credit score, the more credit you will have made available to you. It will be easier to get loans and the interest rates will be better. It will be easier to purchase a house or car (just wait and see how well the dealership treats you when they find out you have a score of 800 or more...). You see, not only is it better to have a high credit score it is in your best interest to work on getting and maintaining one. Does all of this information make you want to quickly get your credit history report and find out what your credit score is? It should. What if there is a blemish that needs to be taken care of? You won't be able to take care of it unless you know it exists. So go get it. What, you don't know how? Keep reading. The three credit bureau companies are "for profit" companies. They don't just give away credit information. However, because of the Fair Credit Reporting Act, you are able to get a free copy of your credit report once every twelve months from each credit bureau. To get the report you can contact each credit bureau separately on their websites or via telephone. However, you also have the option to go to www.annualcreditreport.com and request a copy of the report from all three at one time. You can also use the toll free number for that website (877-322-8228). When you get your credit reports from each bureau, you will see that there is a lot of information that is the same, yet there is also some information that is different. This will allow you to visualize why scores would be different from each bureau. Unfortunately you won't see the scores. Credit scores are not given out free with the credit report. You have to pay a fee to get the scores. You will find websites that offer a free credit report and free credit score, but the score will only be free the first time. Unfortunately, you could pay for your score and then end up doing something the next day that will change the score. Should this and the fact that you have to pay for the score detract you from getting it? It shouldn't. You don't need to continue to request the score each month to see what changes are taking place. Not only is it not necessary, it isn't recommended. Your score won't change very much or very often unless you are being reckless with your credit and your debt responsibilities. If you are being responsible in paying your debts and using your credit, your score most likely won't change much if it does. The most important thing that you can do is get your credit report, review it for errors or possible fraud cases, and be responsible with the credit that you do have. If there are no errors or cases of fraud, and if you are being financially responsible, your annual review of the credit report will give you an idea of what has happened to your credit score. If you notice something that is wrong or concerning on your report, contact the credit bureaus to get it corrected. Your financial security is your responsibility. Be proactive in making it beneficial to you. Generally, as a borrower you will go to some sort of financial institution, be it a bank, credit union, payday loan business, etc., and request a loan for a certain amount. They will ask you what you are going to use the money for. The loan should be tailored to fit the need. It will also be tailored to fit your credit worthiness. As a result, the amount of money you get may be different than what you were hoping for. The interest rate you pay back may also be different than what you were hoping for. But you really need the loan so you are willing to take what you can get. Congratulations, you just borrowed yourself some debt. And with that debt, you probably signed away some permission stating that the lending institution can claim the rights to your most prized possessions. Sound unlikely? Well, think again. With certain loans it is very likely. And because of that, your interest in continuing on with this article should have jumped a few levels. Well, happy reading. When you get done, you will be able to apply for the correct loan for your needs and know what to expect in return. Home Equity loans are loans given to you based on the value of your house. If your house is valued at more than what you owe, you have equity. But this type of loan is another secured loan, so guess what the collateral on a home equity loan is...yep, your house. So if you already have a mortgage loan, and you get a home equity loan, you now have two debts using your house as collateral. You better not default on either one or you will be in a world of financial hurt. The other commonly used secure loan is referred to as Home Improvement Loan. This is sometimes referred to as a Home Equity Loan, but the financial institution you work with may actually refer to the two differently. The difference between the two types of loans is that Home Improvement Loans aren't granted based on the equity you have in the house. In fact, where equity loans are limited by the amount of equity you may have acquired, improvement loans allow you to borrow up to the total value of your house. The thing that the improvement loan has in common with the equity loan is the collateral. Once again your house if up for grabs by the bank if you default on this type of loan. So what becomes the motivation to pay it back? 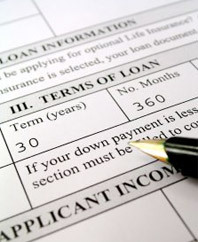 First of all, there are usually higher interest rates attached to unsecured loans. If you don't pay them back, you will end up owing a lot more than you borrowed because of interest charges. But if that isn't enough of an incentive, how about having collection agencies come after you? I know...you can ignore them by not answering your phone or door. If that isn't enough of an incentive there is always legal action...they could put a lien on assets you have or try to get your wages garnished. And if you are in Queens, New York, you might meet a guy named Guido who would like to show you a pair of brass knuckles and cement shoes as encouragement to repay the loan. Okay, so that last line is a joke but it is important to repay your loans because of the other reasons listed. There are other unsecured loans that are becoming more and more popular: payday loans. These are also referred to as high risk personal loans, bad credit personal loans, or guaranteed personal loans. Why are they known under these names? First of all, someone that needs to get a quick loan to help them get by until payday is probably not managing their money wisely enough to get by...or at least wisely enough to qualify for a personal loan from a bank. If they are in this situation, they probably don't have the greatest credit score either. One caution about using the payday loan businesses...they can be expensive. Interest rates and fees could put you behind financially when the next payday comes and they withdraw the money that you owe. If this puts you behind, you may need to visit them again before the next payday. Then the cycle continues. Before you know it, you could be finding yourself in a pretty big financial predicament. It is recommended to only use payday loan businesses as a last resort. They are convenient, but convenience could come with a price. As you look at your choices, make sure to evaluate your financial situation. Don't go for a loan that will cause financial stress. Don't ask for more than you need. Don't be naï¿½ve. These education articles are here for a reason: to help you be a more financially responsible consumer. As you learn what will help you in making decisions, it is in your best interest to make sure that you are putting to use the knowledge that you gain from these articles and any other research that you do. And now that you know what loans are available, you just need to learn how to get one. And that is taught in the "Getting a Loan" article. Happy reading! Banks' names and account numbers. This information is used for the same reason that they want your credit card accounts and balances. The lender will look at what you already have available to you to help determine if you need as much as you are asking for. If you have a high credit score and good credit history then you probably don't need to worry about it as much. But do take this information with you because it may not be on your credit report. Becoming informed through research prior to applying for a loan will save you a lot of stress and maybe a few headaches. More importantly it could save you a lot of money because you will be able to pick the right loan for your needs. The time you spend will be well worth the effort. The preparation time may speed up the application process, the loan processing time, and give you some peace of mind knowing exactly what you are getting yourself into. Managing debt...isn't the phrase an oxymoron of sorts? Seriously, if you are managing your money, you shouldn't have much debt, or at least what debt you have will be under control. And if you are good at managing debt, does that mean that you have had a lot of experience with it? Hopefully not! Debt management is a skill that should be acquired because you have acquired or plan to acquire debt. The results of debt management should be the elimination of debt, not the ongoing management of revolving debt. So don't turn to those companies that want to do it for you. Real debt help, the kind you need, is only found in changing your behavior. Changing your financial behavior, and changing your life, is a long-term investment in time and effort. You make a change for the better and continue on that path rather than return to the same problems down the road. True debt management is about you controlling your money. Failure to notify creditors during financial hardship makes debt management more difficult. Usually, if you approach the creditor and explain your situation and why you are having financial hardship, they will be willing to work out a solution that makes it easier for you to pay them back yet allow them to still make their money. It is even better if you are proactive...notify the creditor as soon as you know that there will be a problem rather than waiting until the problem has occurred.